Roberts MoistureBarricade Polyethylene Film is designed for use with laminate and engineered wood flooring underlayments. MoistureBarricade provides a barrier for moisture protection over cement slabs. This 120 sq. 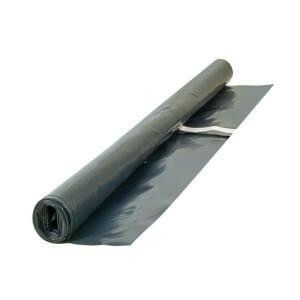 ft. roll opens to a full 12 ft. x 10 ft. area and includes an adhesive strip for 3 inch overlaps with additional sheets. 120 sq. ft. roll measuring 12 ft. x 10 ft.